Oh the never-ending struggle of physique development. The desire for more muscle to add shape and size to our physique is countered by our need to look beach-ready year round in preparation for those successful nights at the bar or possibly even more importantly, that next Instagram selfie. 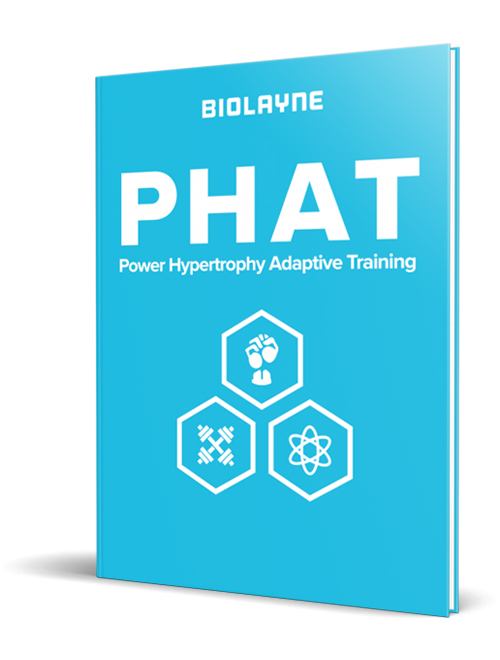 As a reader of BioLayne.com, you know that in order to gain an appreciable amount of additional muscle, a caloric surplus (and as a result some body fat) must be present. Fortunately, you also know that following an old school “bulk” isn’t a prerequisite to physique progress just because extra calories are necessary. As with most things fitness-related, there’s a middle ground that can be achieved to help make the entire process more effective in the long run, and also allow for an offseason body composition that you can feel confident in while still making significant progress in muscle development. Below, I’ll discuss just how we can find that middle ground to maintain and develop a physique we can be confident in year round, not just when it comes time to diet. Probably one of the most beneficial transitions in mentality that physique oriented athletes can make is from the idea that we have to either be “perma-bulking” or on a quest to be ultra shredded in order to make progress. Although this was once the prevailing belief, either end of the spectrum typically creates more drawbacks than benefits. Pursuing a higher body weight through increasingly higher food intakes may improve absolute strength through improved leverages, but not likely much in terms of actual increases in muscle hypertrophy. Not to mention, the unnecessarily long dieting phase required to lose that extra body fat from a classic bulk is very likely to prompt the loss of any marginally additional muscle tissue that is gained. This is where the idea of the mini cut comes in. Mini cuts have gained popularity among physique athletes, but they also serve a great purpose for non-competitors. The idea behind them is to run brief dieting phases to get bodyweight into a more ideal offseason range after periods of growth focus. These mini cut goals may be as small as 6-8lbs. Regardless of the actual fat loss goal, they are performed just long enough to lose unwanted body fat, but ceased early enough in the dieting phase to avoid much of the negative adaptions connected with most long-term dieting phases. These mini diets can be especially helpful for physique athletes deciding to take several years off between another competition season while maintaining a body composition they can perform most efficiently in, and also feel purely comfortable and confident in along the way. Rather than gaining to the point where a 20lbs+ diet is needed to see any semblance of muscle definition, and instead approaching the offseason conservatively, periodically mini cutting something along the lines of 6-8lbs off before turning back into a reverse diet/growth phase, can do wonders for keeping body composition in check during extended growth phases. This can all be done while avoiding many of the negative effects that accompany waiting until double or triple the duration of a diet is needed to get back to a reasonable striking distance of stage weight.